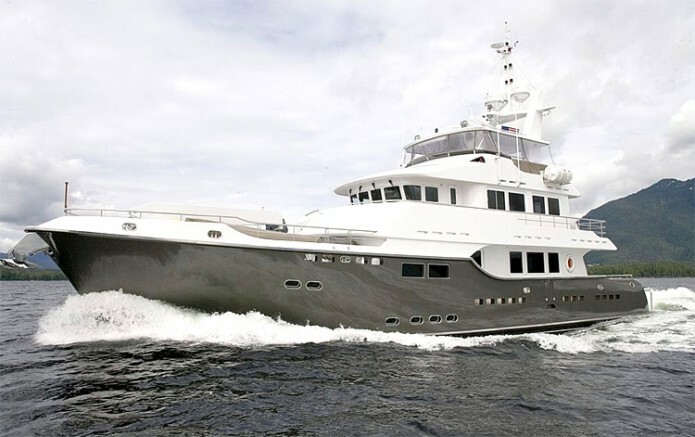 This project began while the yacht's hull was under construction, providing the opportunity to redesign aspects of the interior layout on all three levels. The main deck contains the salon, dining room, galley, and master stateroom. The lower deck has two guest staterooms and crew quarters. On the upper deck is a sky lounge, wheel house, and an additional guest stateroom. On the top level is a fly deck with an outdoor Jacuzzi. The interiors combine classic modern furniture and Bauhaus fittings.